When Luann de Lesseps was arrested for public intoxication in December 2017, it seemed like she was done. Clearly, that was not the case. After a super public divorce, Christmas Eve arrest, and a stint in rehab, Luann is more popular than ever. The “Money Can’t Buy You Class” singer has performed in cabaret show with dates in New York and Los Angeles, but now she wants to take her performance on the road with a national tour. Yes. Yes. Yes. The only way this could be even better is if it was filmed and shown on Bravo. 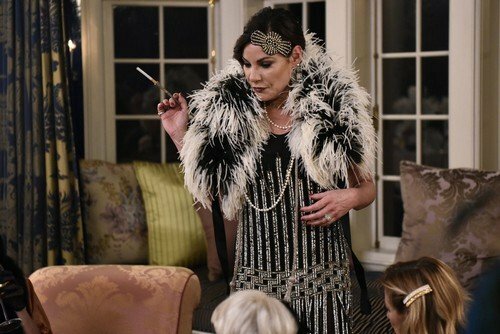 According to an article from Page Six, Luann wants to take her cabaret show “The Countess and Friends” and turn it into a national tour. The article notes that the former countess “hopes to sign a deal with a major tour promoter.” Please let this one be true. TELL US- WOULD YOU SEE LUANN’S CABARET SHOW IF SHE PERFORMED IN A CITY NEAR YOU? DO YOU WANT TO SEE LUANN’S NATIONAL TOUR ON REAL HOUSEWIVES OF NEW YORK?